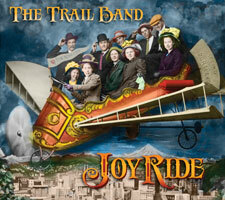 The Trail Band now has thirteen albums on the Trail’s End Productions label in their catalog. Below are samples, song titles, and descriptions of all thirteen recordings. 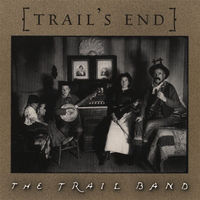 Some of the individual members also have recordings independent of The Trail Band, and you can learn about those recordings and where to obtain them through Meet The Trail Band. Ghosts of Celilo CDs can be purchased through ghostsofcelilo.com. Albums on CD and MP3 can be purchased online by credit card or debit card through CD Baby. To purchase CDs with a check or money order directly from us, print out and mail this order form. Retailers inquire within: marvross [at] rossproductions.com. The band's thirteenth album, this is a collection of eleven original songs influenced by folk; country; bluegrass; blues; and early jazz featuring string and brass instrumentation with tight vocal harmonies. 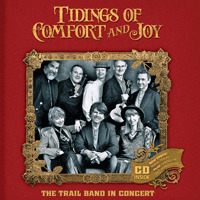 Tidings of Comfort & Joy features 14 unreleased songs and, for the first time, recordings of Cal Scott's monologue and Scott Parker (as "Harold") telling the Christmas story through the eyes of a first grader. People have asked for these stories for years so we are excited to have them available to you. Also, the CD is packaged in an 8 page souvenir photo album with lots of beautiful images from shows through the years. 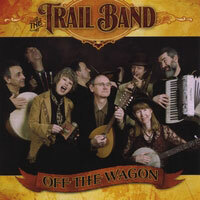 Off The Wagon is the Trail Band’s 11th album (whew!) and, true to itself, this 8-piece combo once again shifts from one semi-acoustic style to the next with confidence and verve. 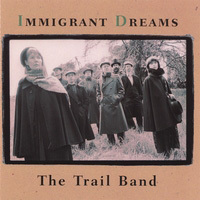 For over 15 years The Trail Band has been selling out concert venues with their unique blend of Americana, Celtic, Folklorico, and early music influences. 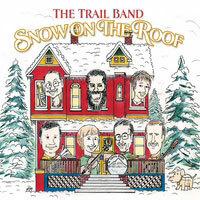 Snow On The Roof captures all the joy and variety of their legendary holiday shows with brass and string band arrangements supporting six lead vocalists including Quarterflash’s Rindy Ross and guest gospel diva, Linda Hornbuckle. The band’s strength lies in their amazing versatility to switch styles and instruments employing tuba, cornet, saxophone, fiddles, guitars, banjo, hammer dulcimer, mandolin, piano, bagpipes, and pennywhistle to play everything from a Scottish Gaelic drinking song to hot swing stomp. What Would Santa Claus Say? 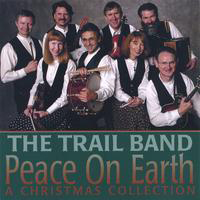 Peace On Earth is a collection of traditional and original Christmas songs arranged by The Trail Band that illustrates their passion for music of all styles and cultures. 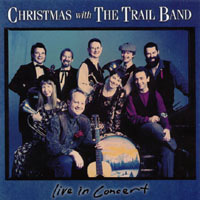 Their five lead singers and unique instrumental blend of brass and string instruments have made their winter tours an annual holiday ritual for Northwest concert-goers for over 10 years. These arrangements of folk, pop, gospel, and early music styles feature piano, pennywhistle, mandolin, fiddles, alphorns, guitar, and full brass. Legendary blues/gospel singer, Linda Hornbuckle, appears as a guest vocalist. Oregon Stories features 15 original songs about life in the Northwest today. Blending folk, rock, country, and traditional music, the band paints a stark portrait of people struggling to live in balance with the unique land they inhabit. 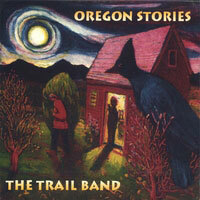 At times celebratory, cynical, and humorous, Oregon Stories is unflinchingly honest and contains the Trail Band’s most compelling songwriting. Making Spirits Bright includes live and studio performances of traditional holiday favorites and five original songs by the band. The arrangements in folk, pop, gospel, and early music styles feature hammer dulcimer, pennywhistle, mandolin, violins, alphorns, guitar, banjo, percussion, recorders, and a full array of brass and woodwinds. Special guests include gospel/blues singer Linda Hornbuckle and two of the West’s legendary country swing performers, Heck Harper and Bus Boyk. 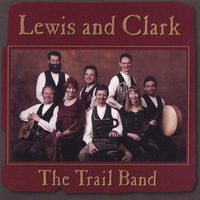 The Trail Band’s sixth album, Lewis and Clark features instrumental and vocal music from and about the era of the 1803-06 expedition. Early American folk songs, French Canadian fiddle tunes, classical works from Jefferson’s library, Irish ballads, marches, and chanteys are included. Guests Thomas Morning Owl & Arlie Neskahi perform with the band music of the Umatilla & Yakima people. Period instruments such as the serpent, sausage bassoon, bass viola da gamba, walking stick recorder, harpsichord, flageolet, and dudelsack compliment the Trail Band’s usual array of fiddles, hammer dulcimer, recorders, pennywhistle, full brass, guitars, banjo, mandolin, and percussion. Vocal and instrumental songs from and about the great migrations to the States in the early 1900s. Gypsy dances from Romania, jigs and reels from the British Isles, Mexican polkas, carols from Puerto Rico, and Greek festival songs exemplify the album’s scope. These traditional tunes are complemented by 5 original songs by the band featuring hammer dulcimer, guitars, violins, mandolin, cornet, tuba, trombone, sax, penny whistle, drums, bodhran, bass, and banjo. Our live Christmas album, this time featuring our 5 lead vocalists. A nice compliment to An Old Fashioned Christmas, which is all instrumentals. A beautiful instrumental collection of your favorite Christmas melodies done in a style reminiscent of the town square brass bands and parlor string orchestras of the last century. A great companion piece to Voices, this instrumental and vocal collection of popular music from the Oregon Trail era includes some of America’s most beloved songs. 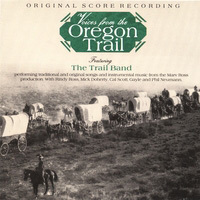 Instrumental and vocal music from and about the Oregon Trail. 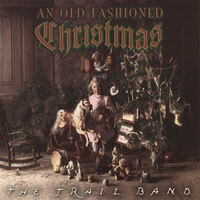 This is the soundtrack of the play by the same name from which The Trail Band was originally formed. 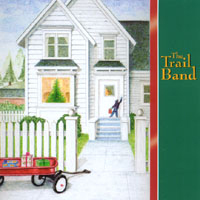 Brass, fiddles, hammer dulcimer, banjo, guitar, recorders, and assorted percussion are featured in the album that first defined the “Trail Band Sound.” A few authentic diary readings from the play are also included.